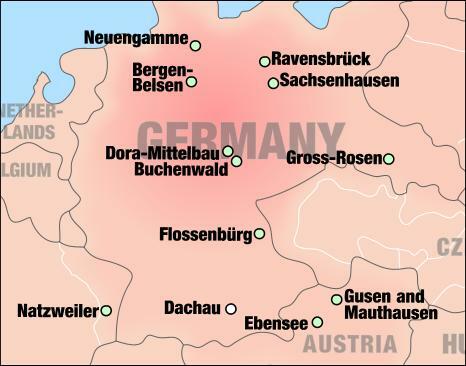 Simon Wiesenthal wrote in 1975 that "there were no extermination camps on German soil." "No Gassing in Dachau" By Dr. Martin Broszat Neither in Dachau nor in Bergen-Belsen nor in Buchenwald were Jews or other prisoners gassed. "It is true that there were no extermination camps on German soil and thus no mass gassings such as those that took place at Auschwitz, Treblinka and other camps. 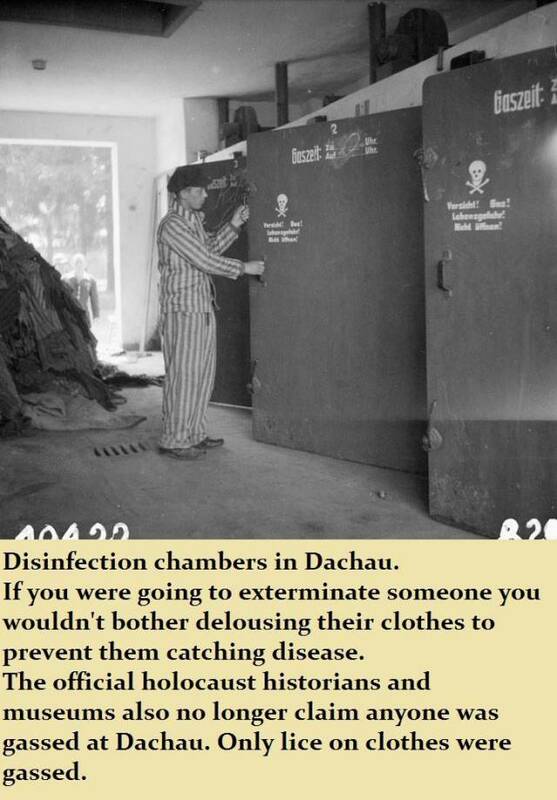 A gas chamber was in the process of being built at Dachau, but it was never completed." Simon Wiesenthal, "Gassings in Germany" The Stars and Stripes European Edition, Sunday, January 24, 1993 pg. 14. 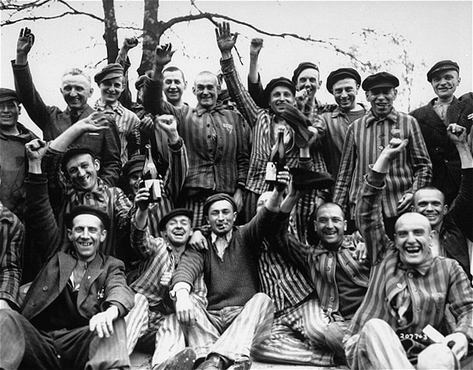 Asked about the photo in the Harwood booklet showing "healthy and cheerful inmates" at Dachau at its surrender to American soldiers in the final weeks of the war, I replied that it is an official U.S. Army photo, one of a series I had examined in the archives at the Pentagon. 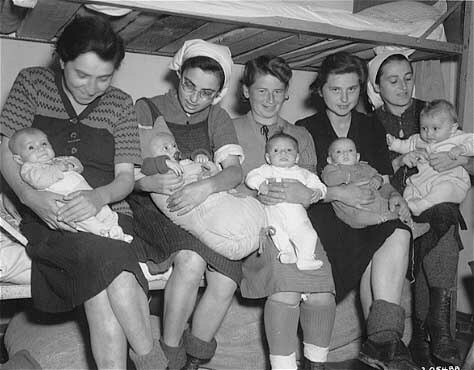 Another photo in the series, which was taken at the same time, shows Jewish mothers and their babies in the camp. A large chart showing the monthly death rate at Dachau during the war was also presented to the court as a defense exhibit. 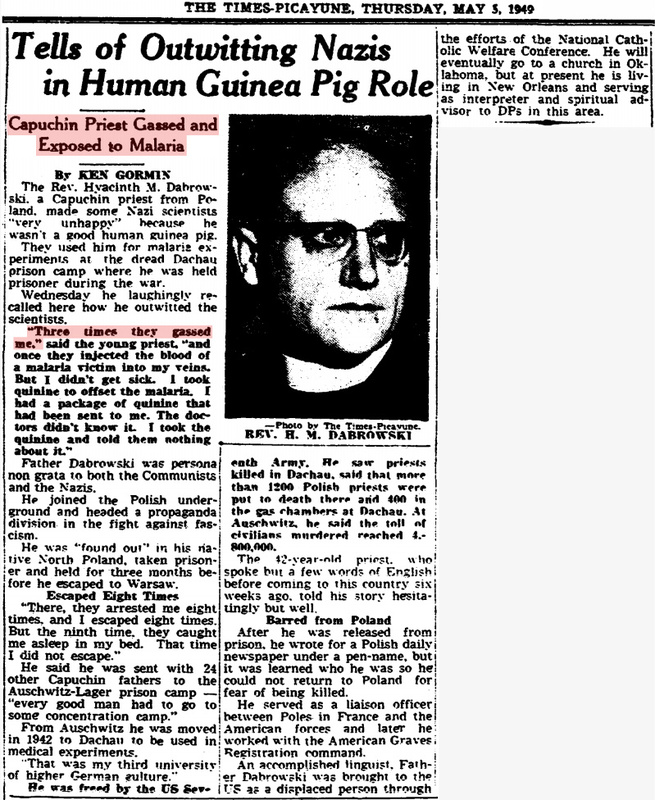 I testified that the figures given were from a U.S. government prosecution exhibit presented at one of the postwar trials in Germany. The chart graphically showed a tremendous increase in the death rate during the final months of the war, which was the result of disease brought on by tremendous overcrowding and other unavoidable consequences of the chaotic wartime conditions. The figures implicitly confirm that there was no extermination program or policy at the camp. A plaque placed at Dachau shortly after the end of the war proclaimed that 238,000 people had died in the camp, I noted. Today, the total number of Dachau dead is pretty universally acknowledged to have been about 20,000. In the case of other camps as well, I said, the numbers of alleged victims have been drastically revised downwards over the years, although the public is rarely ever told that these figures have been changed. New figures are given without explaining why the old ones are no longer accurate.